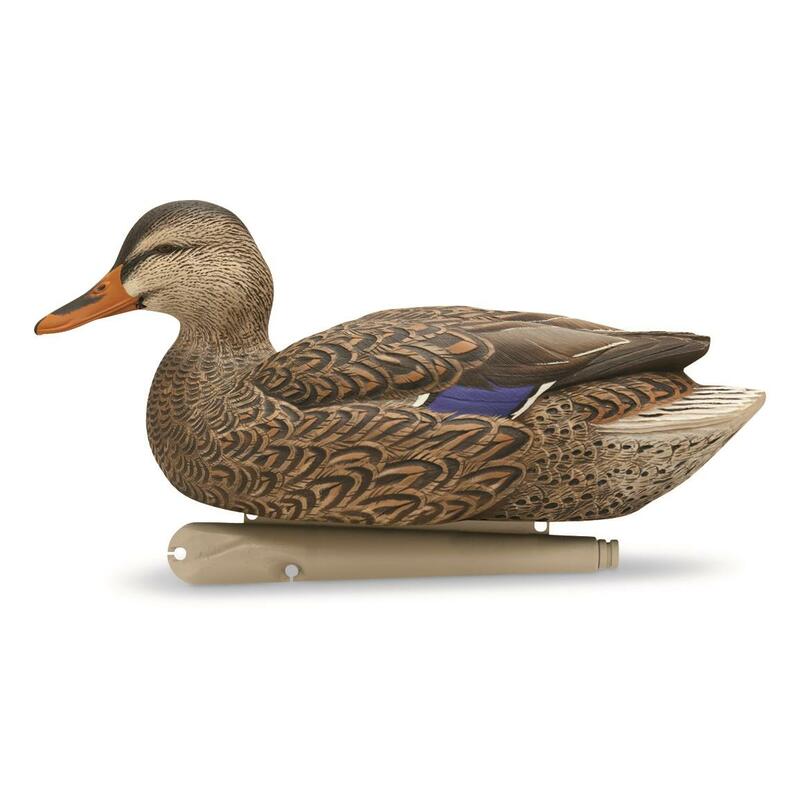 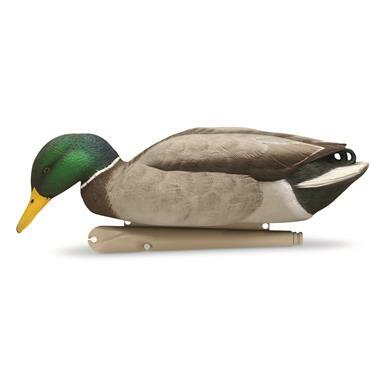 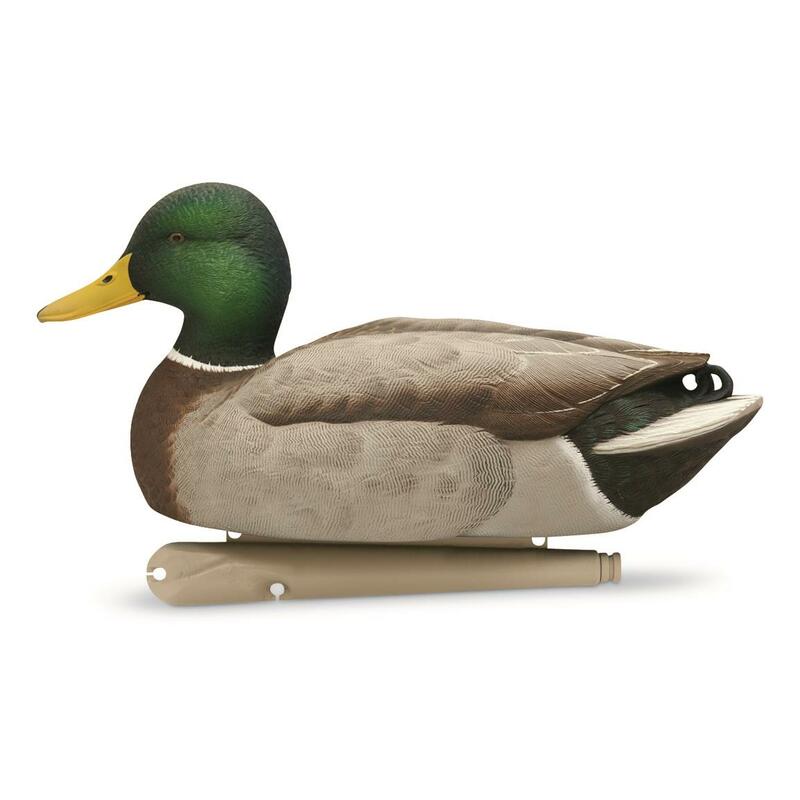 Ultra-realistic paint schemes combined with incredible durability make these the go-to Decoys to complete your spread. Avian-X® Topflight Mallard Fusion Decoy Pack is the perfect combination of upright and feeder heads that give the illusion of peace and calm found in resting flocks. 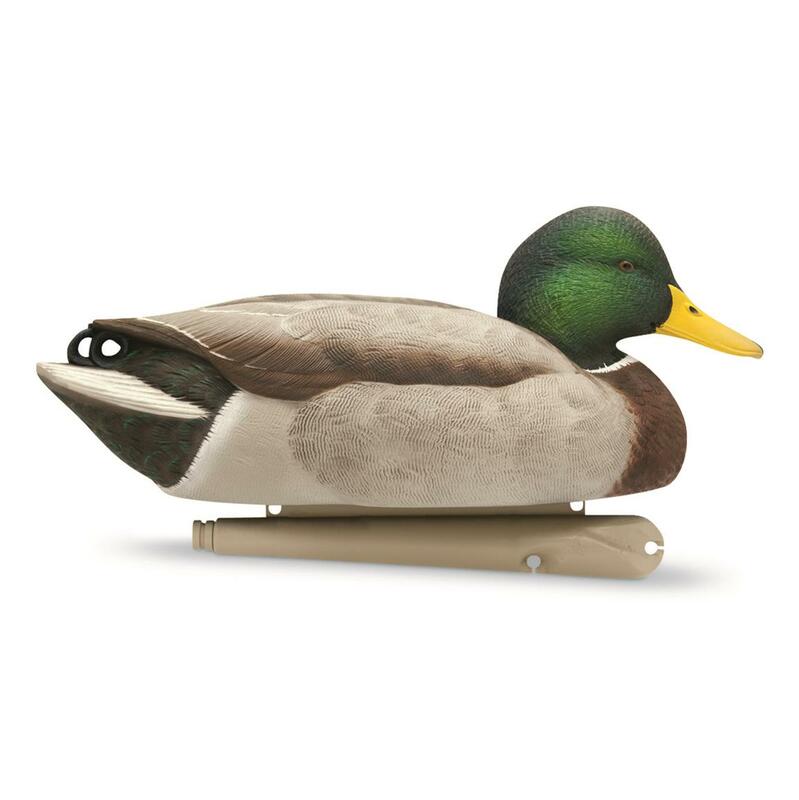 Each feature an innovative, weight-forward swim keel. 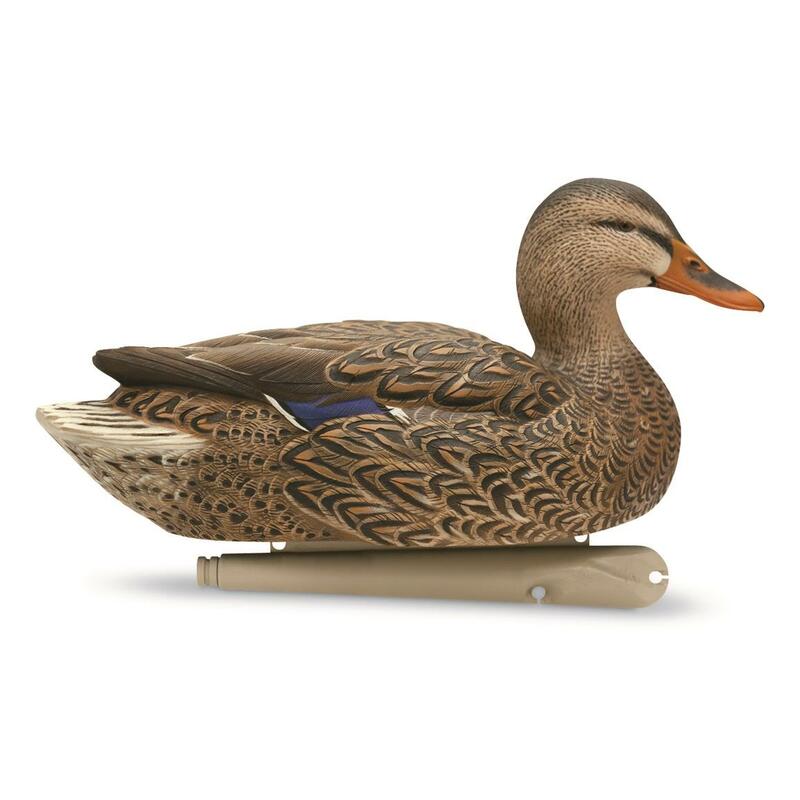 Simply snap the line through the swim clip and they'll display lifelike motion when floating on the water. 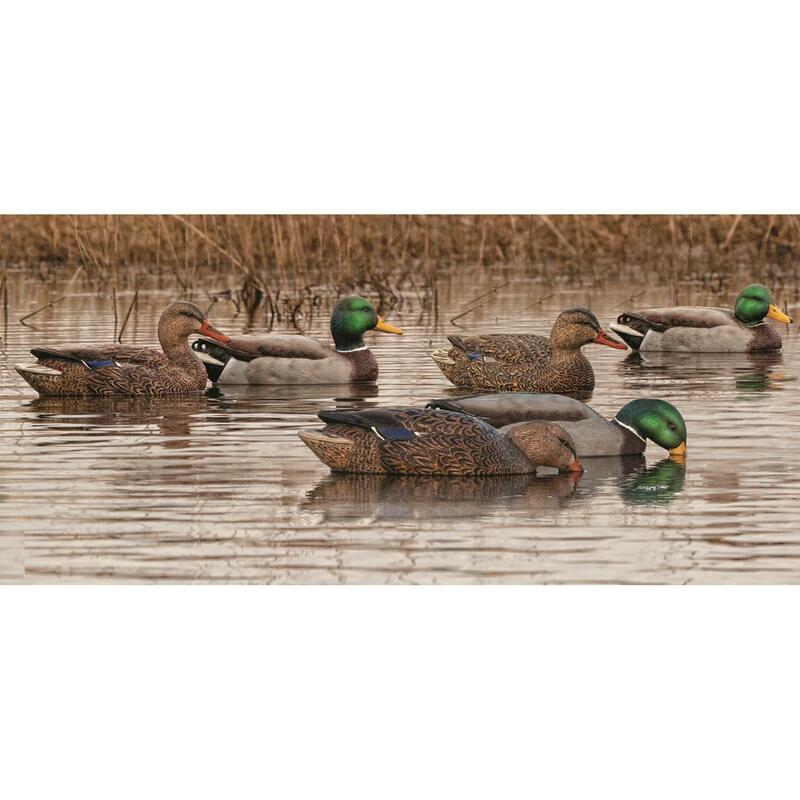 6-pack includes 2 upright drakes, 1 feeding drake, 2 upright hens and 1 feeding hen.